In the popular complex of Balcon de Los Gigantes we have a unique three bedroom , two bathroom apartments straight from the builder consisting of 270 sq m. This apartment has a fully fitted kitchen , spacious lounge leading to the terrace of 69 sq m and air-conditioning. It also has stunning views of the ocean and famous cliffs of Los Gigantes. The complex is maintained to a very high standard and has many facilities including and 24hr security. 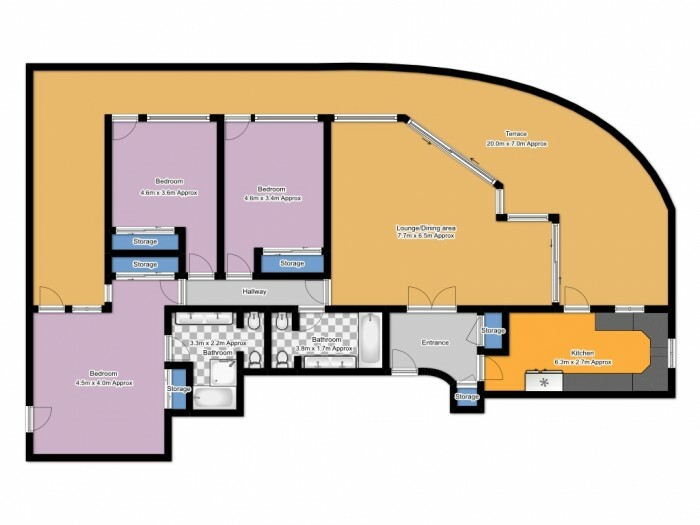 There is WIFI on the complex along with a range of British TV channels and lifts providing easy access to all floors. A central location, close by to shops, restaurants and local amenities. This is an ideal holiday apartment and investment.